Watercolor or Pastel, and Paint like Van Gogh, Seurat or Matisse. the number of combinations is endless. Choose from Pen and Ink, Crayon, Oil, Watercolor or Pastel, and Paint like Van Gogh, Seurat or Matisse. 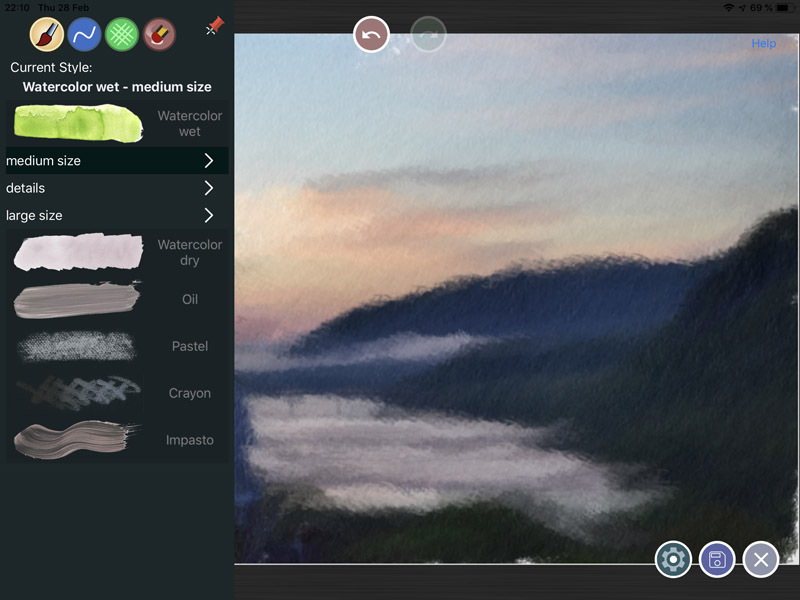 Create your own styles by combining different brushes, textures and painting techniques, the number of combinations is endless. While GMX provides you a variety of predefined styles, the real power of GMX-PhotoPainter comes when you define your own styles. There are a lot of properties that a style have, each of which can be modified. 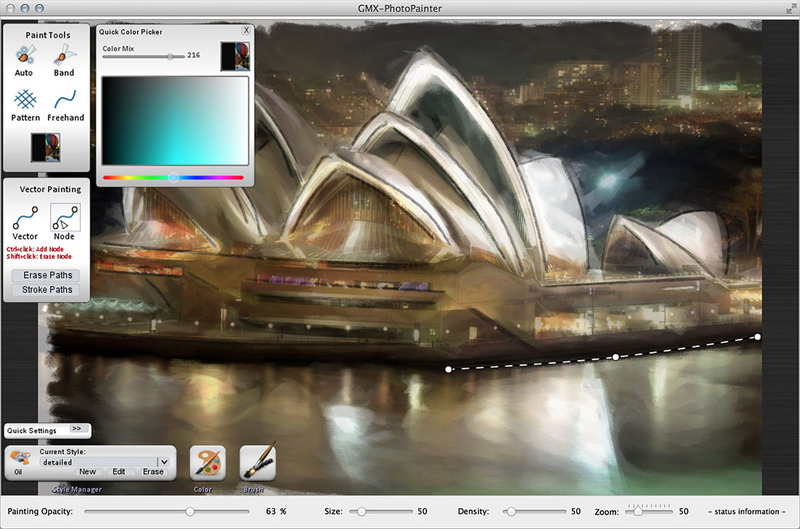 AutoPaint This tool automatically determine the brushstrokes directions. 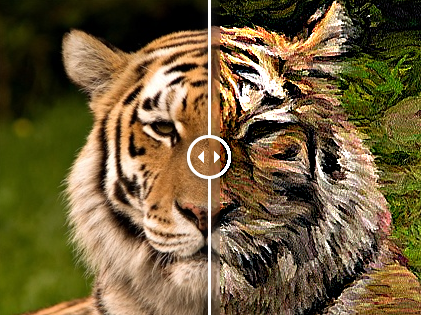 This means that the user does not need to move the mouse in a specific direction to guide the brushstrokes, the orientation of the brushstrokes will be obtained in an automatic way based on the characteristics of the image. Gertrudis Graphics launched the iOS version: Wizard Paint. 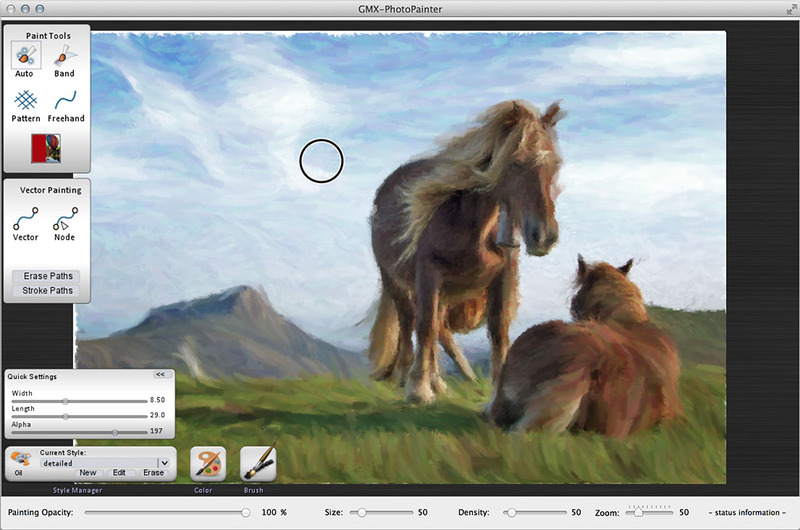 It comes with the same tools and algorithms that gave rise to the GMX-PhotoPainter, now you can draw with your fingers on an iPad. Visit our Featured Artist Page or our Art Gallery to see what is being created by artists of all abilities!